The new Chief Minister of Tamil Nadu, O Panneerselvam, who assumed office following the demise of J Jayalalithaa, will hold his first Cabinet meeting today, on 10 December at the State Secretariat. The meeting will begin at 11.30 am as per the All India Anna Dravida Munnetra Kazhagam (AIADMK) party sources. Panneerselvam is expected to adopt a resolution to accord formal sanction for a suitably impressive memorial for Jayalalithaa. Meanwhile, the Chief Minister is yet to formally take his seat in his office at the Secretariat. Earlier, the Union Cabinet met under the chairmanship of Prime Minister Narendra Modi and condoled the death of Jayalalithaa who passed away on 5 December at Chennai's Apollo Hospital. 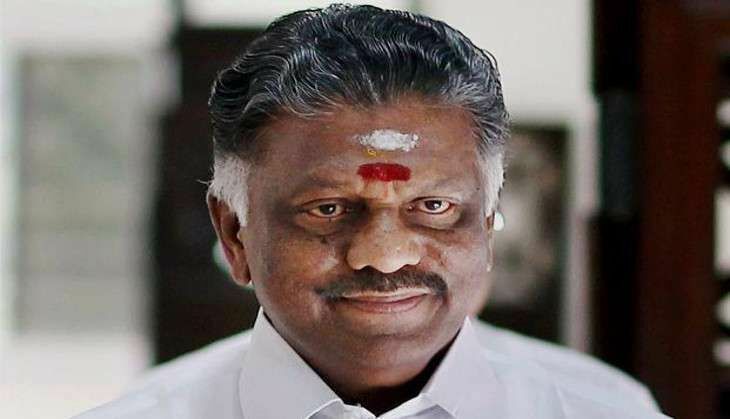 Panneerselvam took oath as the next Chief Minister of Tamil Nadu after Jayalalithaa breathed her last at 11.30 pm last Monday at Apollo Hospital in Chennai. The oath taking ceremony took place at Raj Bhawan. Panneerselvam served as the Leader of Opposition during the DMK government in 2006. He has earlier held the portfolio of Finance in every AIADMK government.